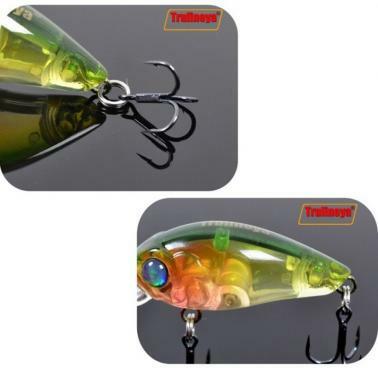 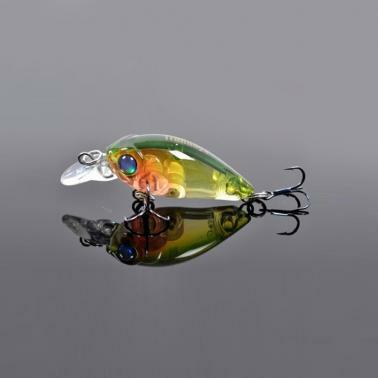 Mini crank fishing lure to provoke predator to bite, specially designed for opsariichthys bidens and black sea bream. 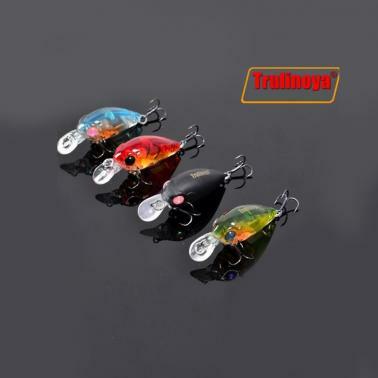 The gravity ball in the center of body will move to the rear when casting, thus can improve cast distance and postural stability. 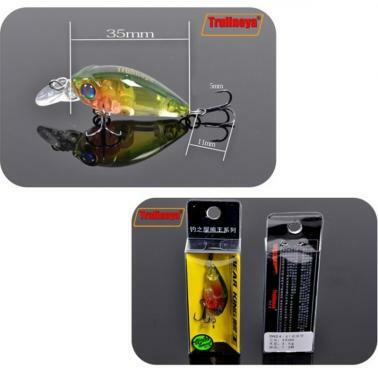 With 2 BKK treble hooks, very sharp and durable.